Technique electrofishing fish. VV Hodyrev ISBN 5-98003-094-8. This book is the most widely covers all the details of electrofishing fish - on the physiological effects on fish of current pulses with different characteristics to the features of construction electrofishing devices, methods of their use and maintenance. Detailed design of the device is described electrofishing, paid attention to the peculiarities of the selection and application of batteries. 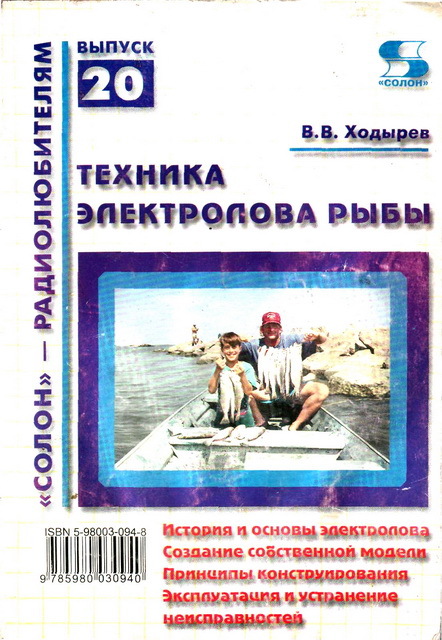 The book is designed for readers who are fond of fishing.